flavour tones with a clear taste of nut. 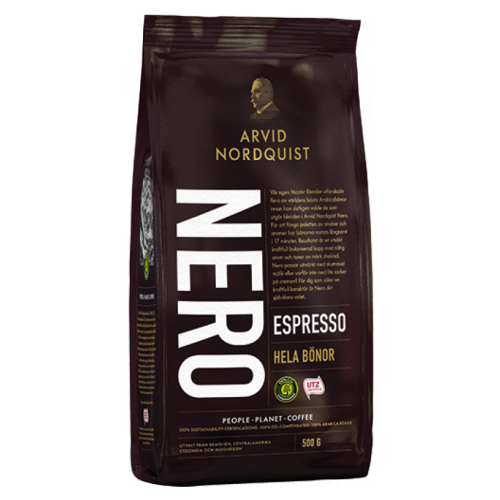 The powerful aroma is balanced with elegant hints of sugar in a long and rich aftertaste. This espressocoffee is perfect for a caffè latte or a cappuccino.